Legal reporting in Canada has had two shameful episodes involving two high profile cases. The first was Jian Ghomeshi, a now former CBC Radio host, accused and acquitted of one charge of "overcoming resistance by choking." He was also charged with four instances of sexual assault involving three women. All charges were dismissed even though the judge stated that he didn't deny that the events occurred. But he stated that the testimony of the three women who testified against Ghomeshi was "unreliable." The media in Toronto dined out on this story. It was simply assumed that Ghomeshi was guilty as charged. As a result, media outlets did not show much restraint in these matters, which is to assume that Ghomeshi was innocent until proven guilty. In matters of sexual misconduct, the assumption by the media was quite the opposite. Social media especially, pounced heavily and with both feet. Many media organizations reported this story as though the conviction of Ghomeshi were a mere detail. Columnists especially were unrestrained, which may be their prerogative, but it likely created a sense of pressure on daily news reporters. While there is no doubt that the public was interested in this story, the "clickbait" quotient in print and broadcasting websites was powerful. As a result, comments on various mainstream media websites were appalling, with the cover of anonymity to proclaim a surprising level (for Canada at any rate) of xenophobia, misogyny and anti-CBC sentiments. The Mike Duffy trial had similar tones of schadenfreude. Duffy was charged with 31 counts of fraud, breach of trust and bribery. In a a trial that was extensively covered, the assumption by the media was that of course, Duffy had to be on the take. Last week, the judge dismissed every charge against Senator Duffy based on an extremely weak case brought by the RCMP. 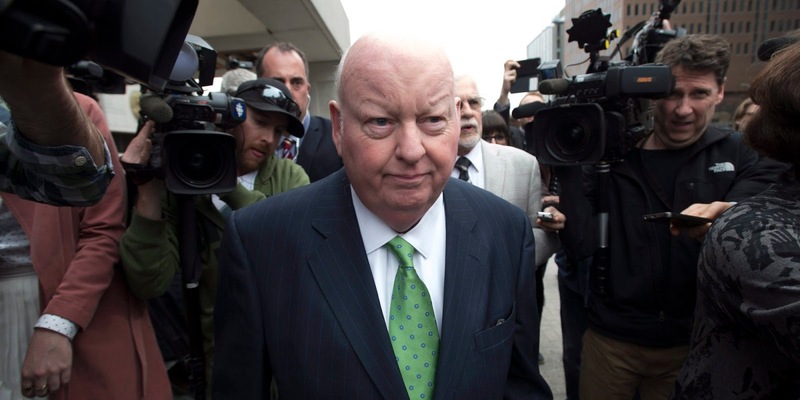 The media, quick to jump on the Duffy bandwagon, pronounced that he had been "vindicated." Over the three month trial, journalists - and especially columnists - seem to take great pleasure in seeing one of their own brought down a peg or three. Duffy had been a high-profile CBC and CTV journalist and his appointment as a Conservative senator seemed to enrage his former colleagues. (Full disclosure: in 1981, for six months, I worked as a producer in the CBC's Ottawa bureau. I was assigned to work with Duffy from time to time on stories for the CBC's flagship nightly newscast). Why did the media assume that Ghomeshi and Duffy had to be guilty? Partly because the moral implications of the accusations were powerful. Journalistic neutrality might have been seen as support for the accused, especially in the blogosphere. As a result, there was a distinct lack of seriousness in the coverage, in my opinion. Both men were high fliers who were being brought back to earth, Icarus-like and the media loves to see the mighty brought down, especially when it's one of our own. Back when dinosaurs roamed the earth and I was a young reporter, I was told in no uncertain terms that covering a trial was extremely consequential. It had to be done with great care, especially with regard to tone and language. In-house lawyers were frequently consulted to make sure that the reporting was scrupulously accurate and neutral. Jury trials especially, had to be reported in as straightforward and un-editorial a way as possible, to avoid the risk of a juror hearing or reading something that might result in a mistrial. Causing a mistrial was considered a fire-able offence in every newsroom. Now? Not so much. A long time journalist of my acquaintance recalls that in the past, "we had to be very careful after a charge and arrest. Cops did not give press conferences. There was little or no speculation. And we didn't have TV and radio reporters trying to ad lib their way through very complicated stuff." As the news becomes more "infotainment" oriented, and the quest for eyeballs on websites is intensified, we are seeing less reporting and more of a TMZ approach. Presumption of innocence? An ignored concept in our digital age. Thank you for an excellent piece Mr. Dvorkin. I read yesterday in an op-ed that "Not Guilty does not mean innocent", the reporter being apparently unaware that we have a presumption of innocence which, if not displaced following a finding of Not Guilty, remains exactly what the formerly accused person is: presumed innocent. Many nowadays will say they believe in the presumption of innocence, but then express views that indicate they disbelieve it at the most basic level. Hi Jeffrey - the presumption of innocence is a legal protection designed to limit state powers of prosecution. it does not mean that ordinary persons, including journalists, need to suspend their conclusions until a trial's outcome.